Microsoft announces a new gadget that can change the game for Real Estate Agents. In short, the headset of the future. 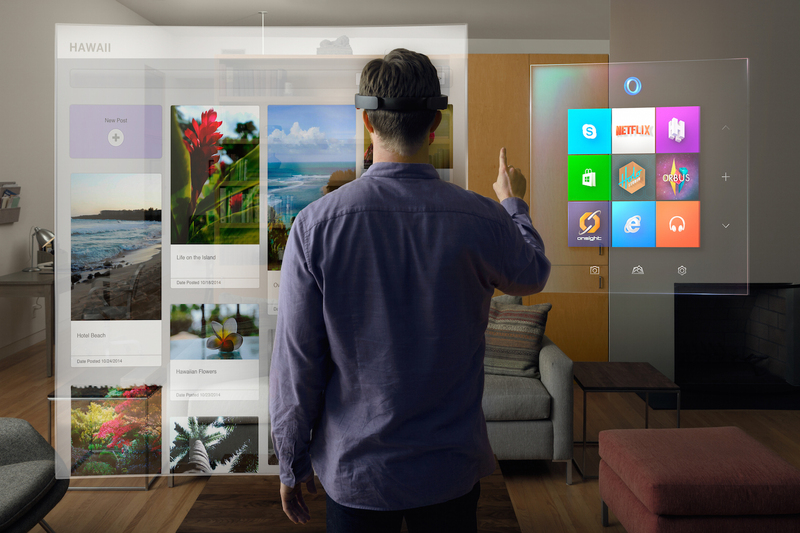 The HoloLens is said to become the next PC. Microsoft HoloLens brings you holographic computing, changing the way you see the world. The first fully untethered, see-through holographic computer. It enables high definition holograms to come to life in your world, seamlessly integrating with your physical places, spaces, and things. They call this experience a mixed reality. Holograms mixed with your world will unlock all-new ways to create, communicate, work, and play. Holograms will enable you to make decisions more confidently, work more effectively, and bring ideas to life before your eyes. It gives new ways to transform the ways you communicate, create, collaborate, and explore. HaloLens allows you to use your movements, vision, and voice to interact with content and information in the most natural ways possible. For the first time, holograms will become practical tools of daily life. Imagine the possibilities for a Real Estate Agent or home designer. Being able to visually connect your clients to your thoughts. Saving time by walking them through potential homes for buyers, or having your buyers visually show you exactly what they are looking for in a home. Working with Sellers and utilizing holograms in your listing presentation to demonstrate what you can do for them. The possibilities are limitless.